Spring, Easter, Mother’s Day – all of these are reasons to celebrate in my house. We are so tired of being cooped up inside that we are all looking forward to spring with incredible anticipation. Easter means celebration and renewal of faith, the end of our lenten journey and tons of food and family. I’m sharing in my celebratory mood today with this sweet printable Easter Activity book. 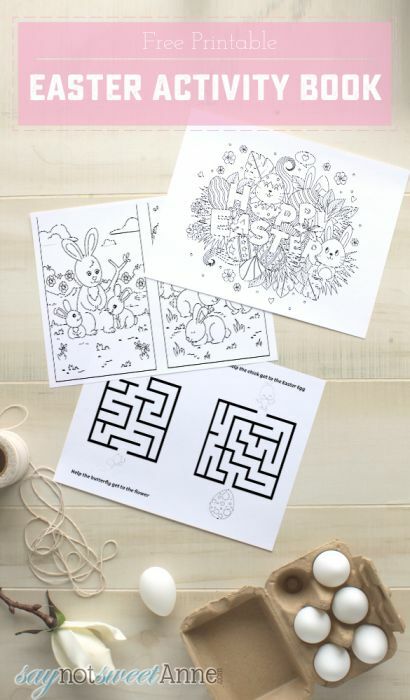 It goes great with the Easter Egg Memory Game from last year to make a fun (quiet) fidget bag or just a pre-dinner game for the littles. The book prints on regular paper and folds in half, so it’s cost effective to print a bunch and have them ready for cousins, friends and even adults to doodle on before or after your festivities. There are a few pretty bunny themed cartoons to color, space to play tic tac toe (did you see my Ultimate Tic Tac Toe for older kids?) and free space to practice writing and drawing. All you need is a printer, some white paper and a stapler for the middle – tada! 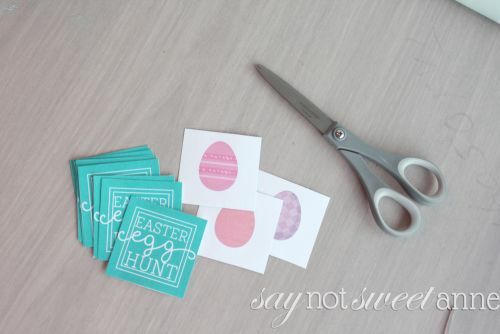 Printable Easter Activity for everyone to enjoy. I’m particularly excited to print a bunch for the smaller kids at my Grandma’s house this year. Since I can remember, every Easter has included an egg hunt at my Grandma’s house, with so many children participating that we had to invent new colors of eggs to keep us all separated. Last year I was honored for my son to participate, passing on the tradition to him. 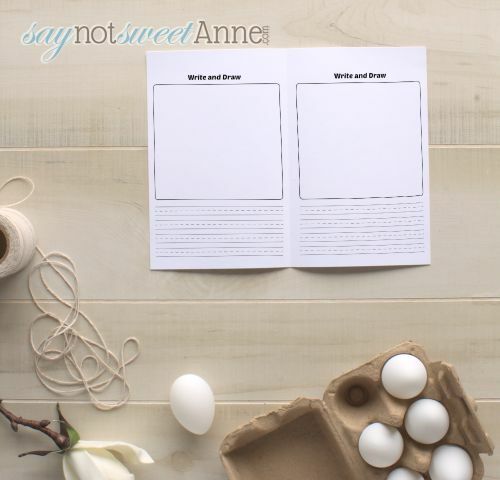 The Squish is one of a bunch of new great-grand children, so this printable easter activity should be a big hit for the littles to keep them distracted while the eggs are being hid. What types of traditions does your family follow around Easter? Do you do religious events, or just stick with the bunny? Do you hide eggs? Are they boiled or plastic? 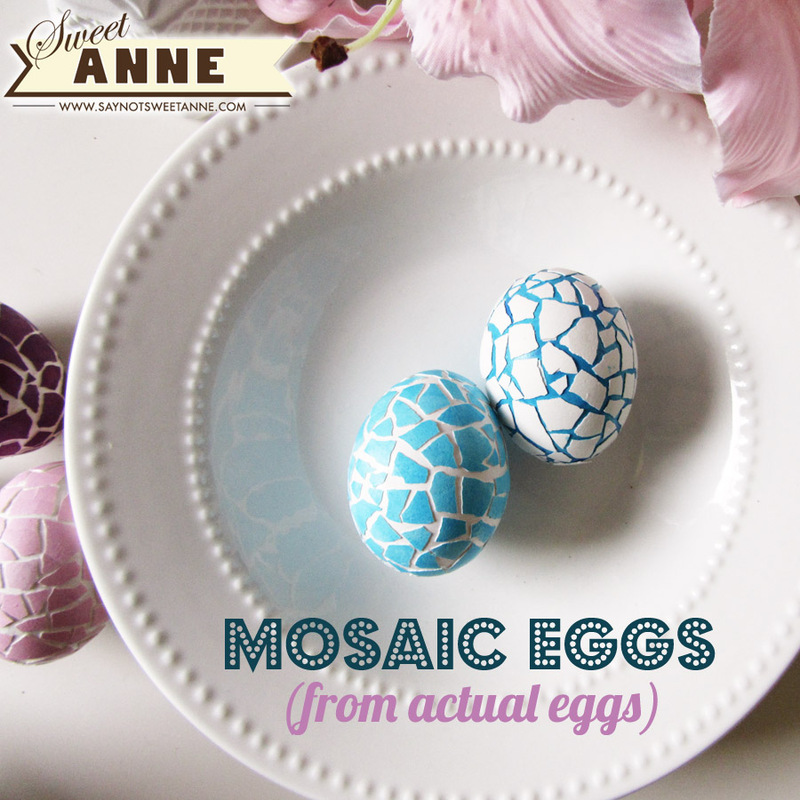 I’m looking forward to making a new batch of my super cute mosaic eggs again this year. So many things to celebrate! !